This is always the time of year when I ask myself why I don’t just spend all of my time playing FIFA, and FIFA 18 poses the question more forcefully than ever. It's off the pitch that EA excels. From the variety of game modes on offer and how everything's presented, to the constant updates in FUT's Team of the Week, Daily Objectives, and discussion of real-world happenings in commentary, FIFA 18 captures the world of football and confidently translates it into a video game. On the pitch, however, EA's soccer series is still lagging far behind PES 2018's more fluid, satisfying football. When all is said and done, FIFA 18 is a game I can get behind. 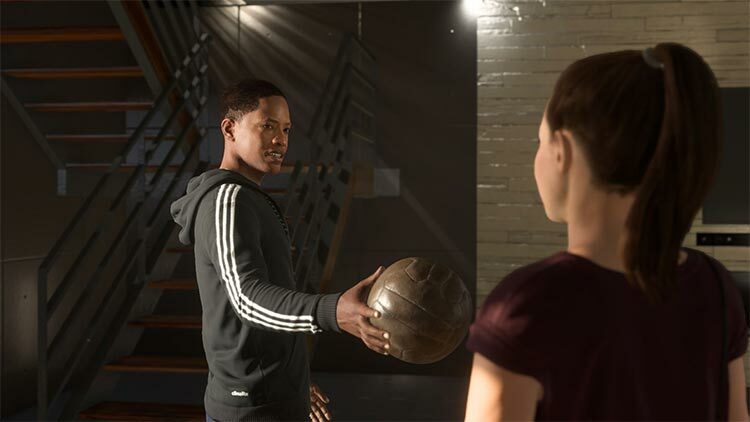 A lot of the small annoyances have been fixed from last year, especially regarding player movements, and there’s nothing like diving full force into The Journey with Alex Hunter. There’s also the gorgeous graphics; it’s truly a work of art when you stop and take it all in. 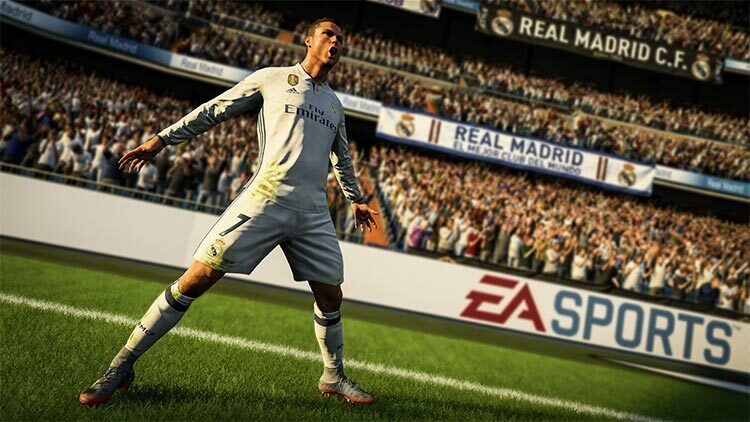 Though problems with some of its various modes persist, for my money FIFA 18 is the greatest package the series has offered since EA's last overhaul in the form of FIFA 12. 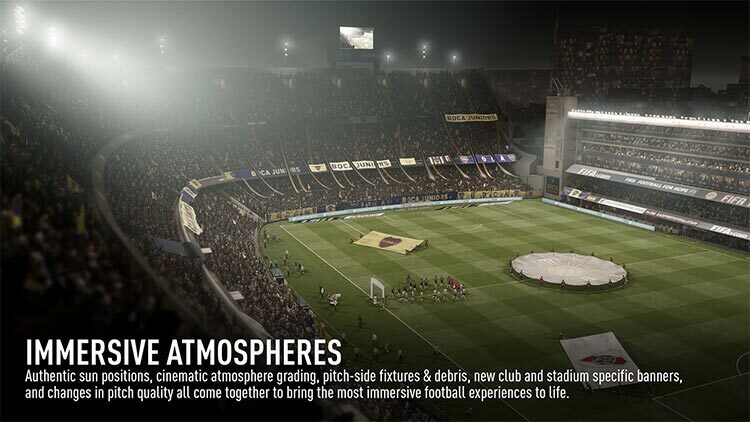 The differences in FIFA 18 aren't immediately noticeable, and it'll take some getting used to before veterans of the football franchise realize how much of a dramatic effect they've had on its gameplay, but this is the most refined version of EA's efforts to date. FIFA 18 is a fantastic game. More refined and better balanced, this is the edition that marks the greatest advance in the present generation. It's also a massive game in terms of content, both in quality and quantity, with a lot to keep you busy until next year. Is it perfect? No, and there is surely room for improvement, but we believe that FIFA has never been as good as it is this year, and has never offered so much to its players. 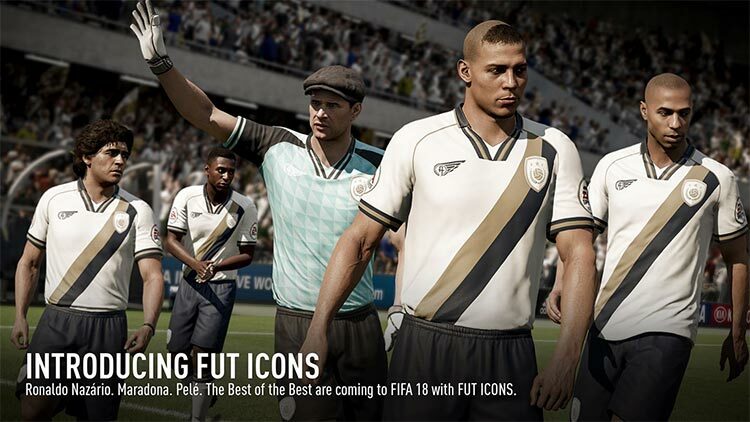 That's why, in our opinion, FIFA 18 is the best FIFA of all time. Ni para bien ni para mal hay sorpresas con FIFA 18. Es el juego de fútbol más completo en cuanto a contenidos y modos, y con una jugabilidad que sigue evolucionando y refinando, aunque sigue sin satisfacer a todos los amantes del fútbol por igual, y genera muchas polémicas cada año. FIFA 18 ist ein gutes Fußballspiel, das ein temporeiches Spektakel mit vielen Dribblings und Torszenen inszeniert. Allerdings weht dieses Jahr so viel Arcade-Flair wie noch nie, denn manchmal braucht es nur zwei, drei Pässe und es fallen dann recht simpel eingeleitete Tore, bei denen die uneinholbaren Stürmer steil gehen und einnetzen. Außerdem habe ich noch nie so viele Tore aus der Distanz erzielt! Auf dem Rasen eine echte Weiterentwicklung des gewohnt starken FIFA-Gesamtpakets. Abseits vom Platz fehlen aber die Innovationen. Porté par un système de protection de balle nettement plus convaincant cette année et des centres qui se sont diversifiés, FIFA 18 propose une expérience toujours aussi plaisante lorsqu'il est question des "30 derniers mètres". Visuellement, le jeu reste très proche de ce que l’on a pu voir auparavant bien que certains détails tels que les effets de lumière permettent de rendre le tout plus agréable à l’œil. Du côté du gameplay, rien de bien nouveau avec des matchs où l’attaque est reine alors que les défenseurs se font toujours autant martyrisés lorsqu’une équipe enchaîne une séquence de passes un peu trop rapide. 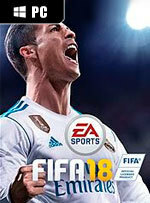 Fifa 18 si è rivelato essere un buon titolo calcistico, probabilmente il migliore in uscita in questo 2017: con un gameplay rinnovato, più ragionato e maggiormente premiante verso i giocatori più tecnici, ora padroni del centrocampo e fondamentali per trionfare ad alti livelli. Ottimo finalmente il lavoro svolto sull'IA, umanizzata rispetto al passato e che rende piacevole giocare offline. Peccato aver rovinato i portieri, con i tiri da fuori troppo efficaci e che saranno sfruttati da tutti gli utenti online. Tutto il buono che FIFA 18 ha da offrire su console può essere ritrovato anche su PC, a patto di essere pronti ad avere a che fare con gioie e dolori che questa piattaforma ha da offrire. La presenza di un ambiente online più controllato ci fa infatti preferire le versioni PlayStation 4 e Xbox One del gioco, ma nel caso in cui non siate in possesso di una console il PC può essere ritenuto di sicuro un valido strumento per divertirsi in compagnia della simulazione targata EA Sports. Son sözlere gelecek olursak FIFA 18, açık konuşmak gerekirse FIFA 17'nin DLC'si gibi bir tad veriyor. Getirilen yenilikler her yıl çok yavaş bir şekilde karşımıza çıkıyor. 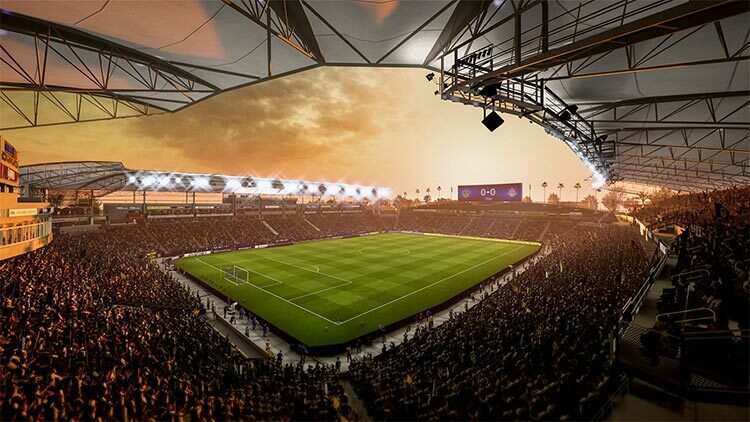 EA Sports gibi dev bir firmanın bir yıl içerisinde çok daha büyük yenilikler ile karşımıza gelmesini bekliyoruz artık. Ancak bu söylediklerim FIFA 18'i kötü bir oyun yapmıyor. FIFA 18 doğal olarak şimdiye kadar oynadığım ve oynayacağımız en iyi FIFA.